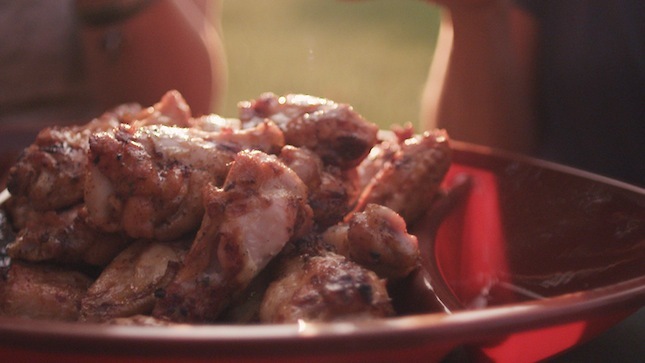 No matter what type of grill you have; gas, charcoal, pellet or wood, the easiest way to prepare wings is to cook them over direct heat on the grill. Start by trimming the tips and then separating at the joint, soak for 2-hours in Sweetwater Spice Smoked Habanero barbecue bath, remove from bath and apply Cattleman’s 8 Second Ride. Preheat your grill to 300 to 325-degrees, oil the grates and place wings on grill. Grill for approximately 7 minutes per side and then move to indirect heat until internal temperature reaches 180-degrees (use the Maverick PT-100 thermometer for fast and accurate temperature readings). Mix equal parts cream cheese, colby-jack, and sausage, stir until thoroughly mixed. After coring, and seeding the jalapeños, fill them with the cream cheese stuffing. Wrap stuffed jalapeños in bacon and season if desired. 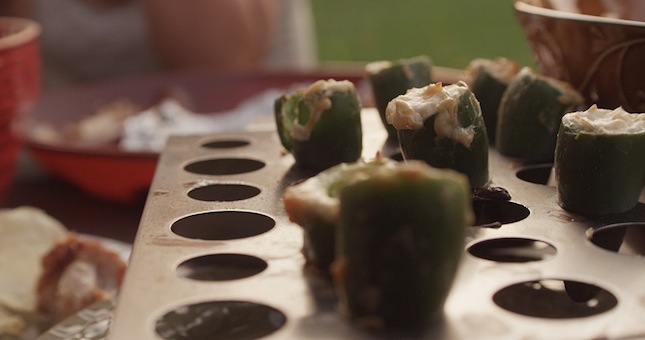 Place the jalapeños in a chili grilling rack and cook over indirect heat in your grill or smoker. Grill until bacon is cooked through, and chilies have color. You can substitute sweet peppers as well, for a non-‘atomic’ version.